Cat Healthy is a cause marketing initiative created to increase awareness about proper cat health and to demystify cat behaviour, helping cats live healthier, happier lives. Supported by all practicing feline specialists in Canada, Cat Healthy is internationally recognized as a leader in supporting species-centric care. Cat Healthy partnered with Royal Canin to help cat owners better understand their cat’s behaviour. Roughly 50% of cats with owners in Canada receive some type of veterinary care. Most of us are well intentioned, but often we don’t understand cat behaviours that indicate health concerns. 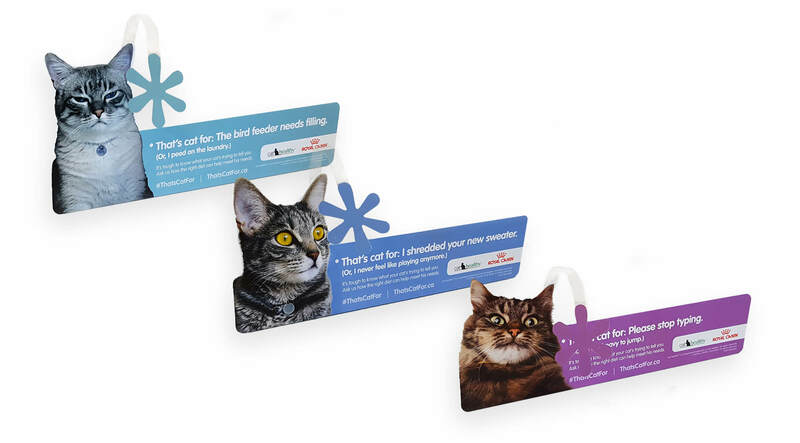 Supported by Royal Canin, the “That’s Cat For” social campaign was a pilot program initiated to help build a community of knowledgeable cat owners. 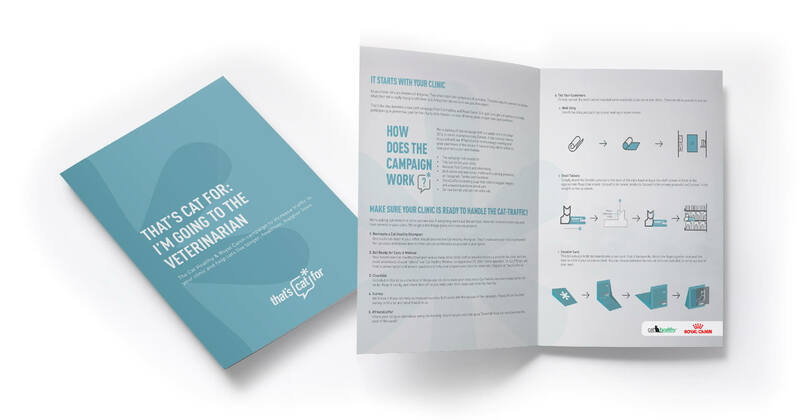 A two part campaign encouraged veterinary clinics to nominate a Cat Healthy Champion within their staff to support ongoing conversations, and a website populated via social feeds, provided cat lovers with access to feline specialists and nutritionists (Cat Interpreters) to whom they could submit questions about their cat’s behaviour for interpretation. The geo-targeted campaign was conducted over just two months. The first month was focused on training clinic Cat Healthy Champions and the second month was focused on increasing engagement with cat owners. In order to reach cat owners, the campaign was advertised primarily through social media, using Instagram as the main channel and Facebook/Twitter as supporting channels. Campaign posts consisted of images of cats which were captioned with funny #ThatsCatFor comments from the perspective of the cat, along with common cat related hashtags to reach the cat owner audience. Cat owners were then directed to the website where they could submit their own questions to the Cat Interpreters. 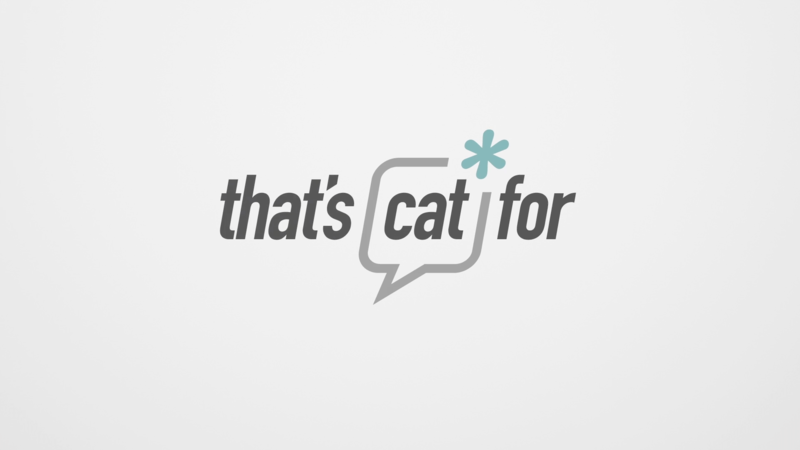 Once on the website, cat owners could view the #ThatsCatFor social feed aggregator, read through the answers of questions submitted by other cat owners, meet the Cat Interpreters, and submit a question about their cat. Once a week the answers were posted to the questions submitted the previous week, and the cat owners were directly emailed their answers. In just one month we were able to create a significant, engaged community of cat owners who wanted to learn more about how to care for their cat.